We’re not for everyone... 1) People who are interested in Japan, the culture & the language 2) People who are traveling in Japan & want to get the most out of their trip If that’s not you then please GTFO! 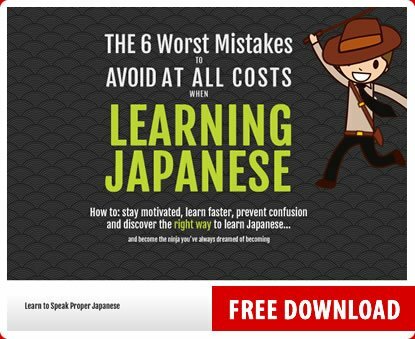 We have three sections: 1) On the Cheap - clever ways to save tons of money in Japan.2) Learn Japanese Properly - learn the right way to study.3) The Secrets of Japanese Culture: good, bad, awesome, weird. Other websites are holding out on you... We’ll tell you what you should see, what you should avoid. What’s weird and what’s awesome. How you can save the most money. The good, bad & the ugly. We’re your honest survival guide for Japan. We think Japan is totaly awesome. And since you love Japan too, we want make YOU more awesome by giving you all of our hard-won wisdom and inside info! Meet Cameron. He’s a master of Japanese and English. He’s going to teach you everything you need to know to get to a competent intermediate level. You’ll learn how to speak like the Japanese actually do, including slang, etc. Meet Michiko. As a native of Japan and thrifty single mom she has the ultimate insight on how to live and travel on a budget. You'll learn how to go cheap and still have fun! Meet The Captain. An eccentric explorer and adventurer. He’s going to go deep into the secrets of Japanese culture and show you everything! The Good, the Bad and the weird. Especially the weird. You'll become an authority on everything Japan. Want to know how much your trip to Japan will cost? Don’t be a boring foreigner! Talk like a native & make people laugh & love you! Discover the prefectures with the lowest and highest crime rates!